NASA recently tested drones to serve as unmanned air traffic controllers, according to Recode. The tests, which were conducted at the Reno, Nevada, airport, are part of a larger research project spearheaded by NASA and the Federal Aviation Administration (FAA) to develop an unmanned air traffic control system. The tests were designed to see whether a mapping alert platform could track drones in real time, report flight paths, and alert the drones of unanticipated hazards. According to NASA, the tests represented the first instance of drones flying beyond the line of sight of the operator while also being tracked by NASA’s drone platform. NASA began testing drones earlier this year and hopes to conclude doing so in 2019, at which point it will make recommendations for a national solution. The agency began testing due to the FAA Modernization and Reform Act of 2012, which mandated that research is conducted on drones as air traffic controllers and to create rules for safely piloting them. Using drones as air traffic controllers could save the FAA money and prevent potential dangers. Human air traffic controllers often are overworked, which can lead to them being tired or distracted on the job. A study found that 2 in 10 air traffic controllers had committed a significant error in the past year, and were averaging 5.8 hours of sleep every workweek. Rather than hiring more air traffic controllers, the FAA could implement less expensive drones, which would be more cost effective. Drone manufacturers and software providers are quickly developing technologies like geo-fencing and collision avoidance that will make flying drones safer. 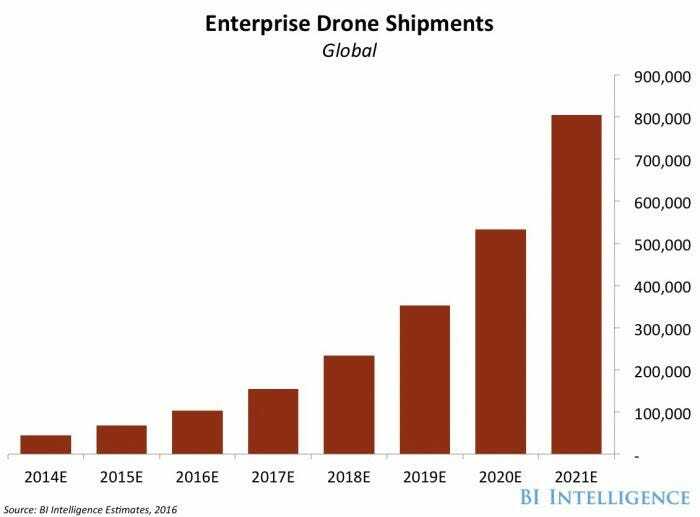 The accelerating pace of drone adoption is also pushing governments to create new regulations that balance safety and innovation. Safer technology and better regulation will open up new applications for drones in the commercial sector, including drone delivery programs like Amazon’s Prime Air and Google’s Project Wing initiatives.